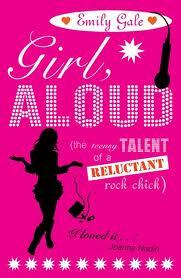 ITEM: A signed copy of YA novel, Girl Aloud, by Emily Gale. “Emily Gale’s characters are very real, and yet the twists in the plot always surprise.” Keren David, author of When I Was Joe. “…a wonderfully-observed, realistic and moving mix of relationship drama and gentle comedy.” Teen book review site Chicklish. 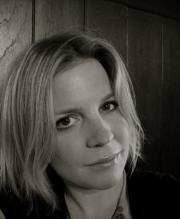 CV: Emily Gale was born in London in 1975 and began her working life as the driver of a miniature steam train in a children’s toy museum at 15. The splash as a child fell off the train and into the pond one afternoon was enough to make her consider alternative careers. She went on to achieve almost no success as an ice cream scooper, a falafel seller, a waitress, a classroom assistant and a TV runner, all in the space of a year. At university she got a taste for editing by working on student rags, and after graduating she worked for Penguin Books where she gained an unnatural knowledge of Peter Rabbit. She was an editor, mainly of children’s books, for several years before going freelance and edging towards writing the books instead, and has several books for under-sevens in print. She is currently living in Melbourne with her partner and two young children. 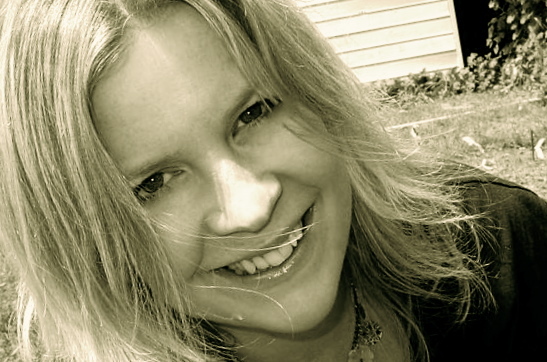 Her first novel for teenagers, Girl Aloud, was published by Chicken House in November 2009.